Our company Optimal Logistic today is one of the leaders in the delivery of heavy and oversized cargo to the states of Europe, Central Asia and Ukraine. One of the areas of specialization is the transportation of skating rinks. Reliability. Transporting a rink is not an easy task, so the main thing is reliability. We use only modern means of fastening and delivery. This makes the transportation reliable and fast. Professionalism. Important is the professionalism of workers, drivers, managers. After all, if the transportation of the rink will occur unprofessionally, an accident may occur, an accident, a breakdown of parts, or even a further inoperability of the goods. Whatever it is, the company is demanding in the selection of personnel, so we will find only highly qualified specialists who have already worked for a year in their specialty. Geography. Sometimes it is necessary to transport skating rinks not only between cities, but also between countries. 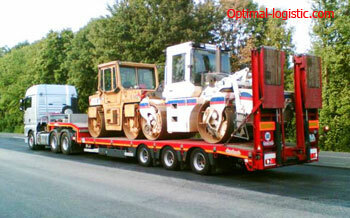 So Optimal Logistic will transport it from the European state to Ukraine, Russia or Central Asia. The cost. Since the company is engaged in transportation for more than a year, has qualified employees, various machines, there is no reason to resort to the help of other firms. Prices for the delivery of rollers are among the lowest in our industry. On the site you can calculate the cost of delivery. To do this, you must specify a contact person, information about the transportation and characteristics of the goods.